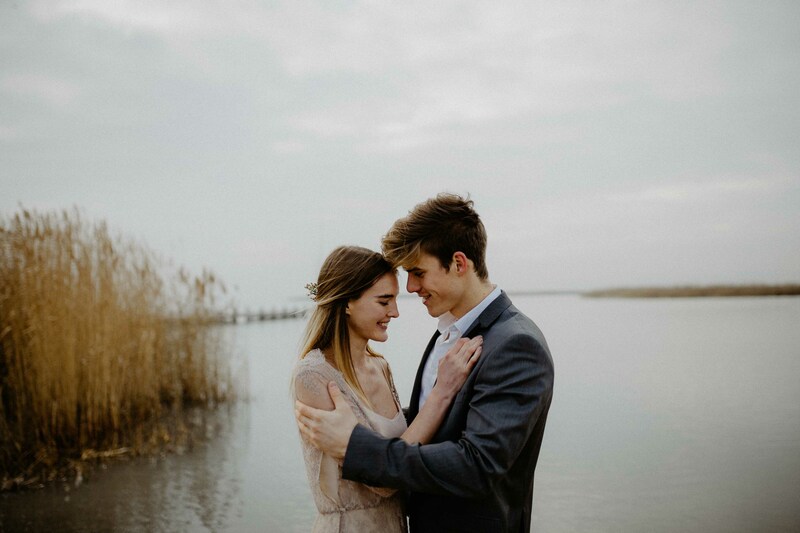 As Austrian wedding photographers the days during winter time can be very cloudy and triste when there are still a few weeks or months left till wedding season starts again. 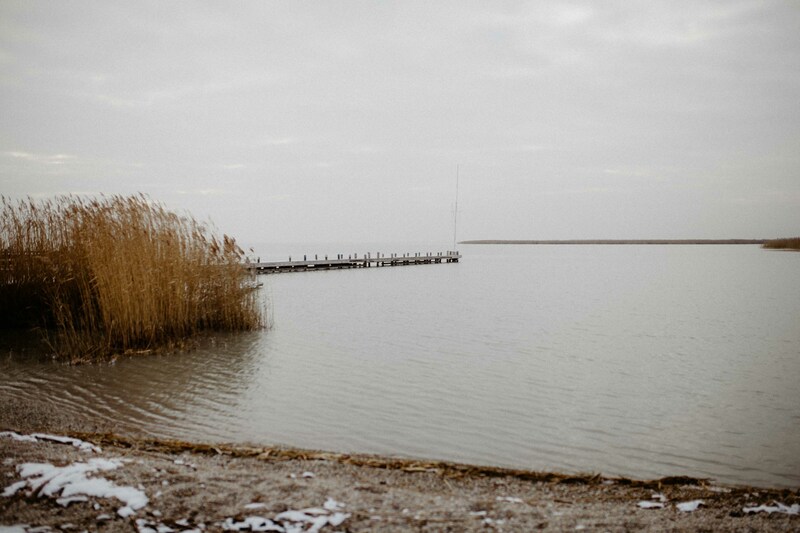 Especially when you are living in the area of Vienna where there’s hardly any snow falling. 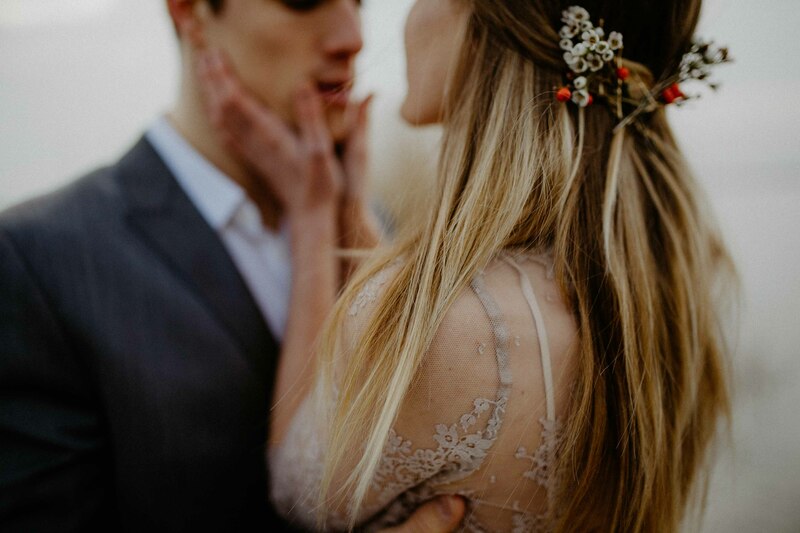 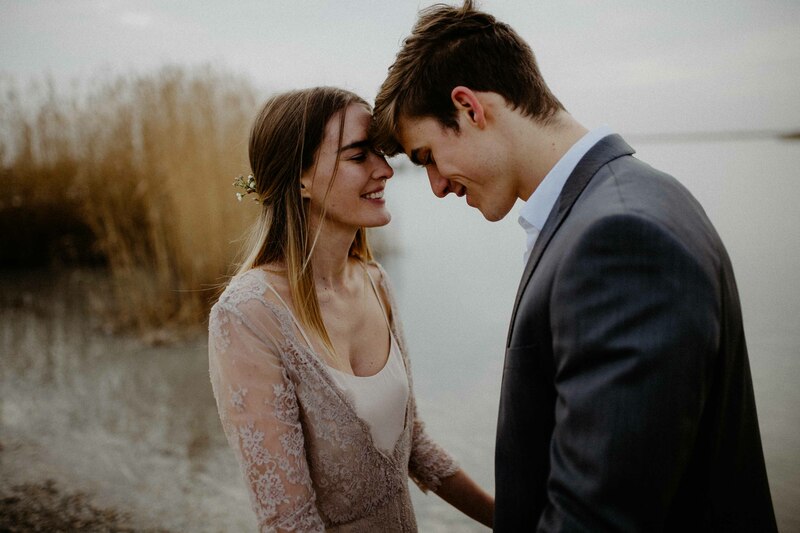 So from time to time we decide to organize a shoot with a loving couple and a beautiful dress, which again came from our favorite bridal dress designers „elfenkleid“. 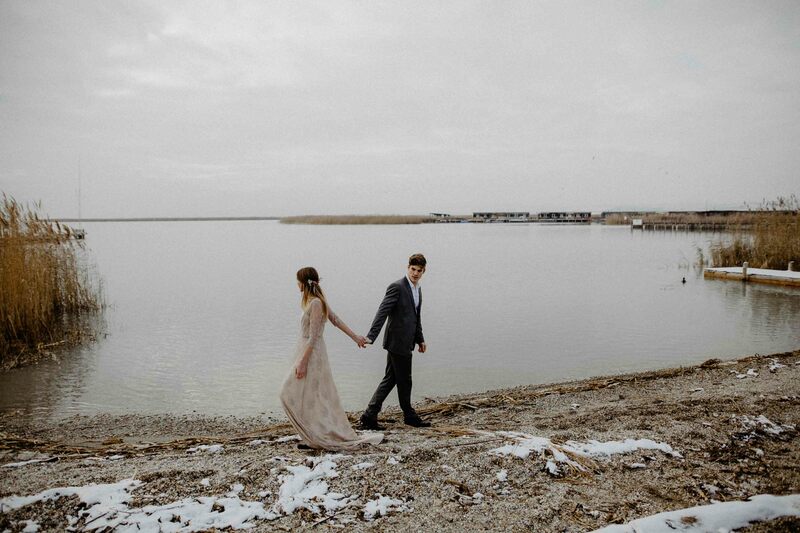 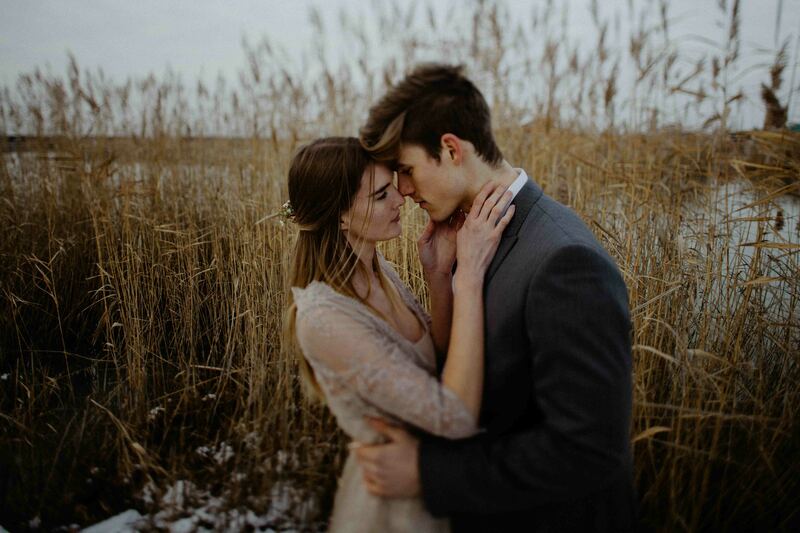 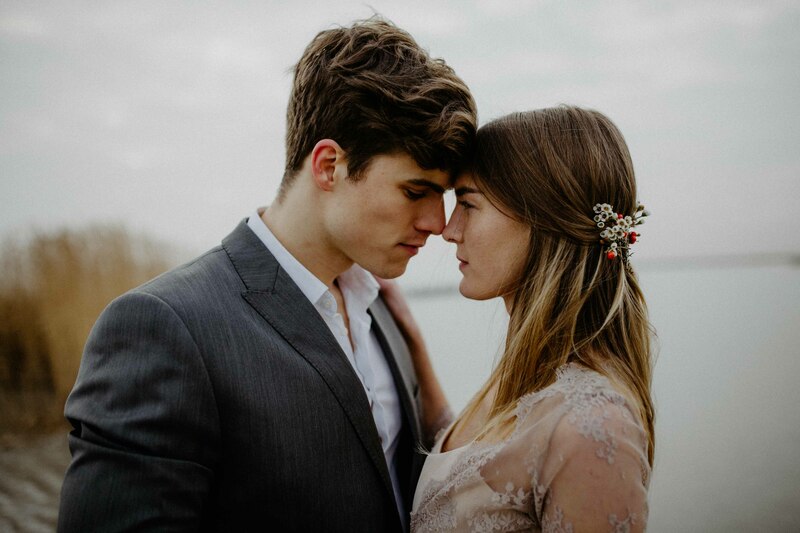 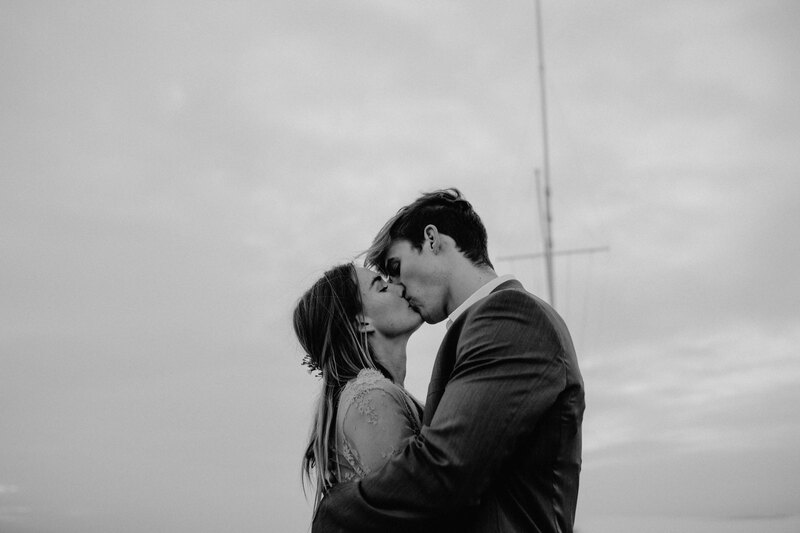 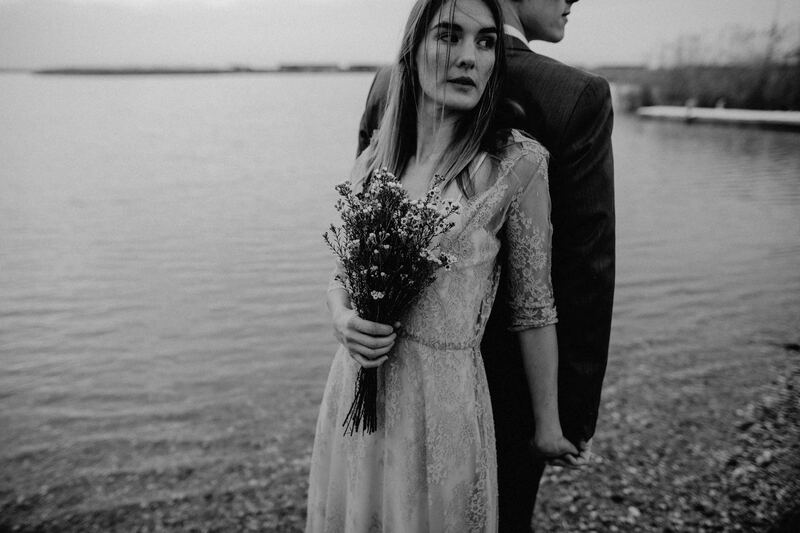 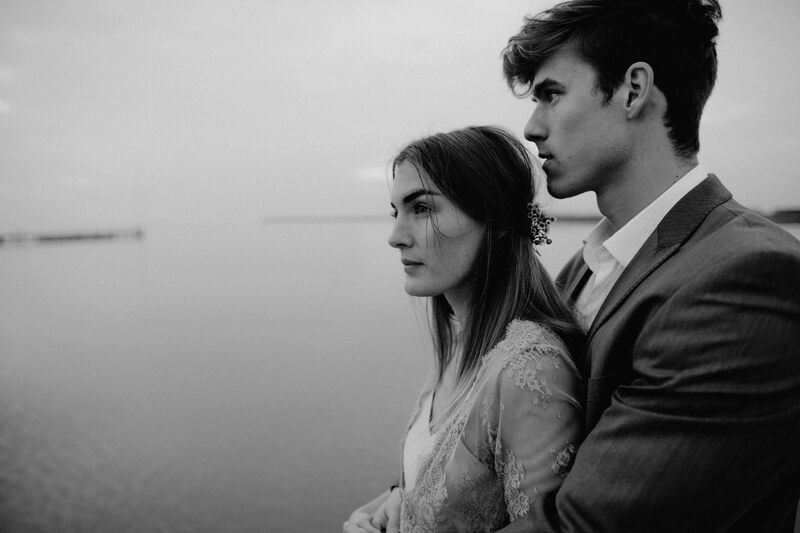 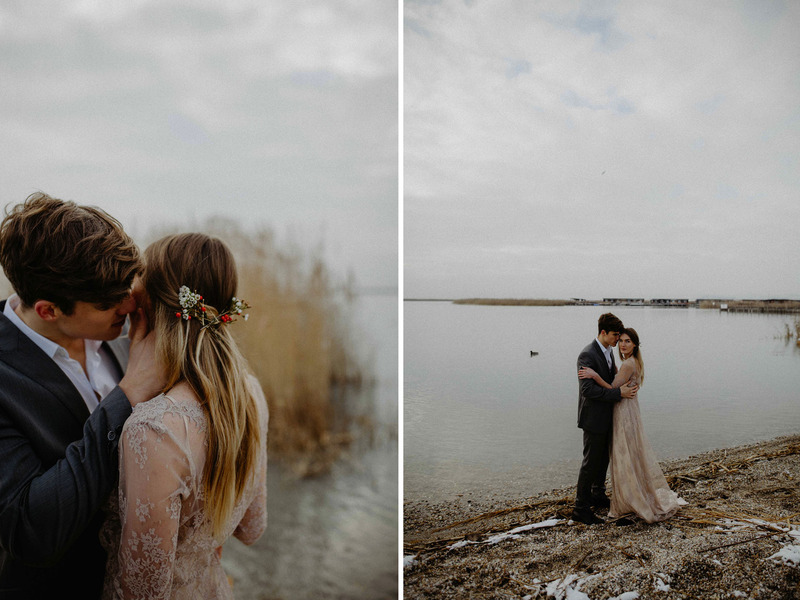 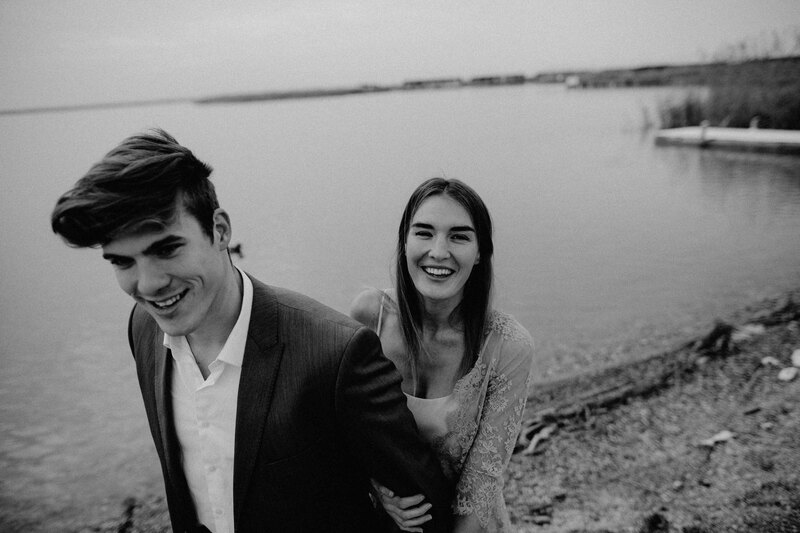 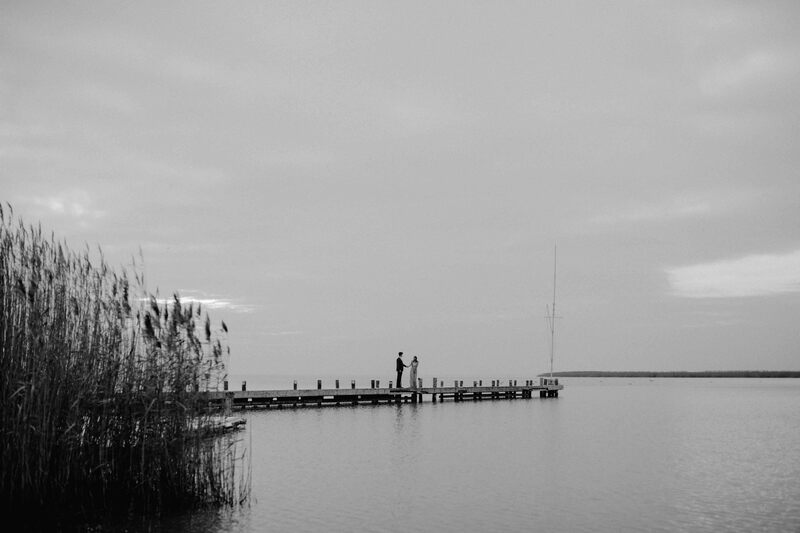 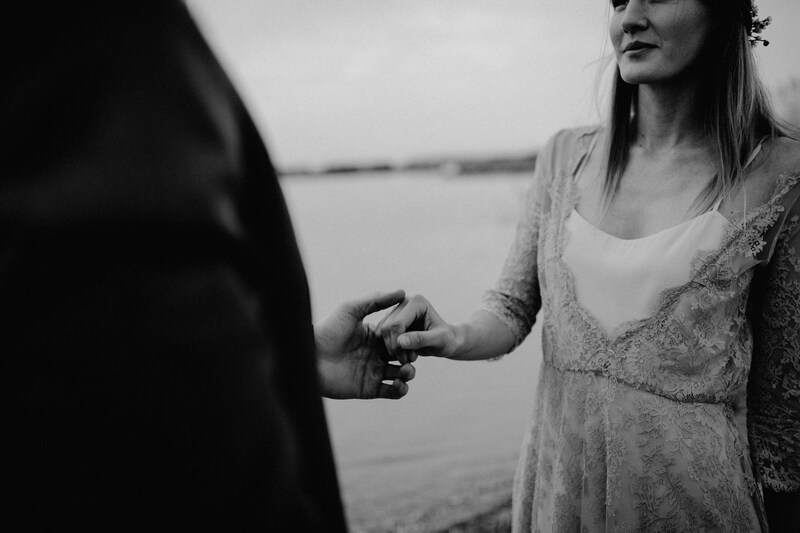 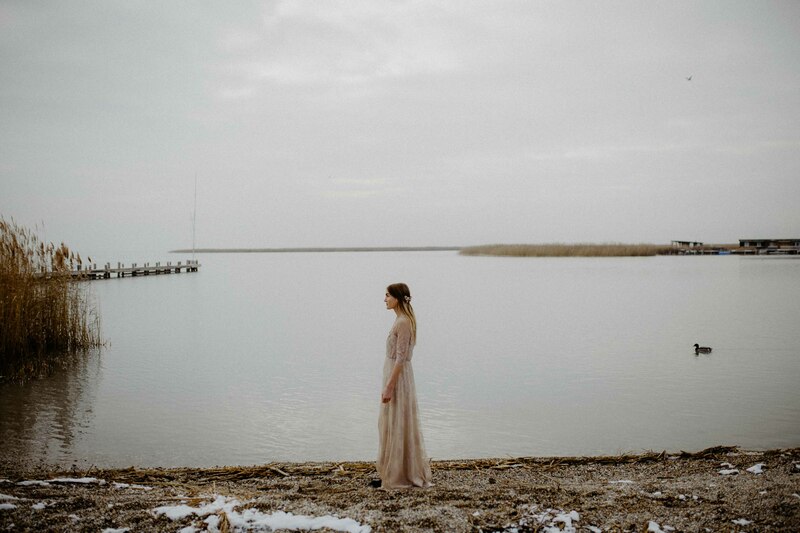 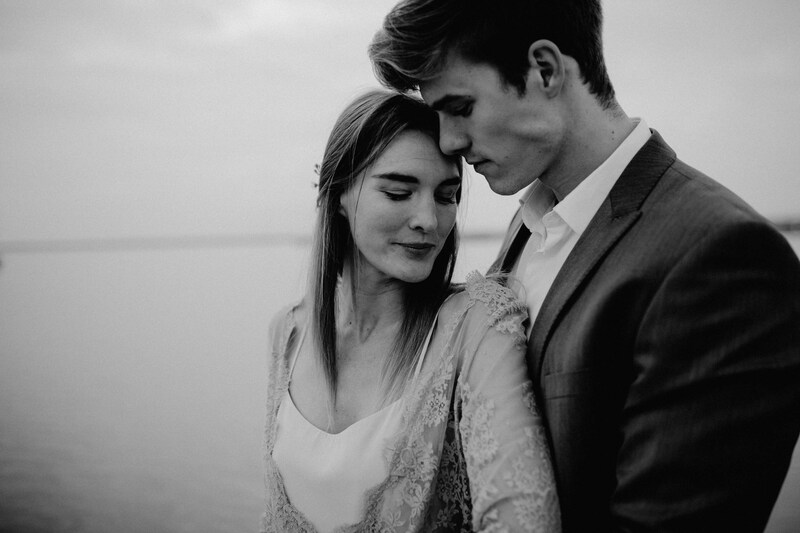 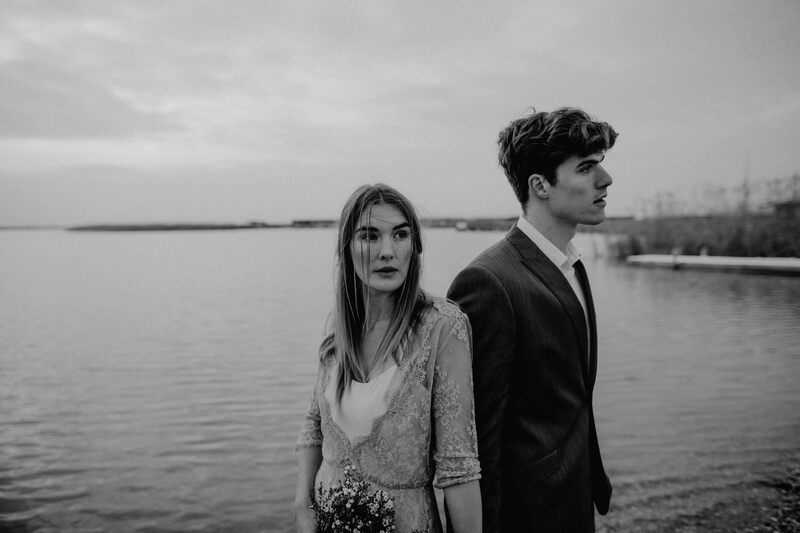 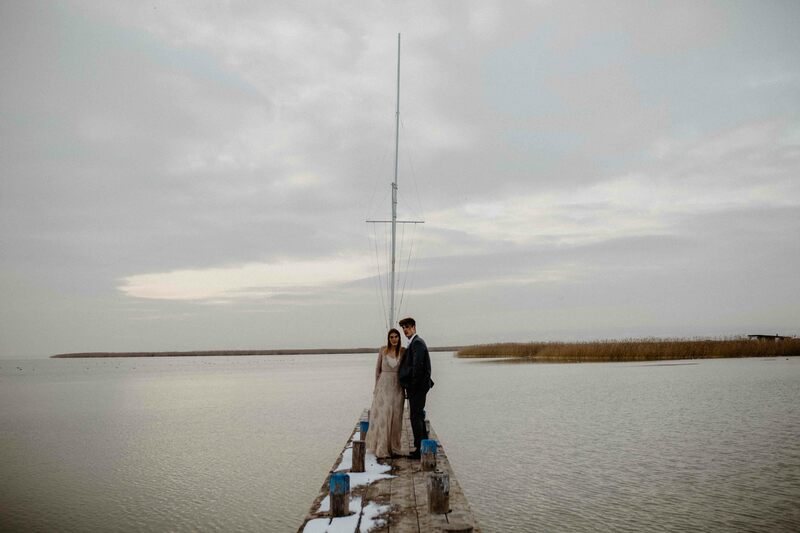 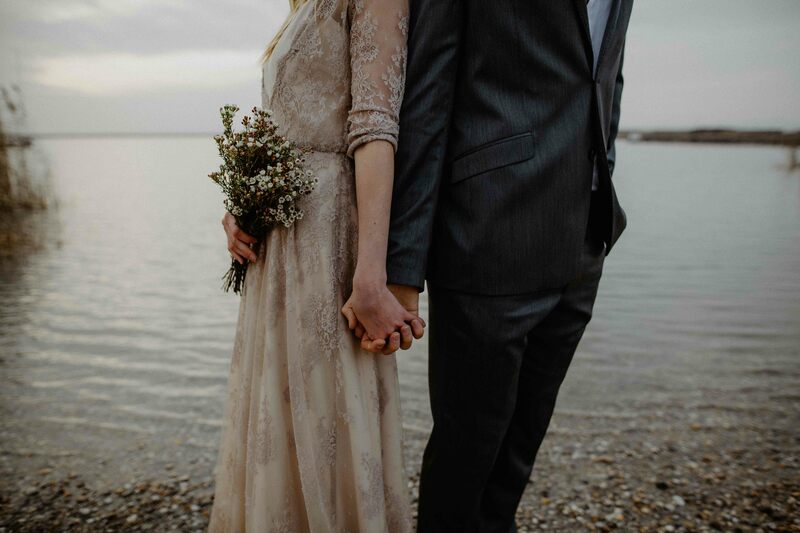 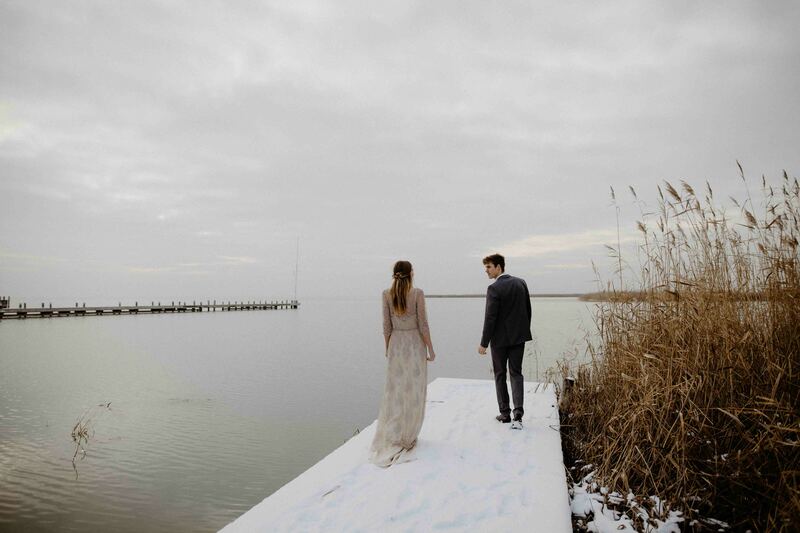 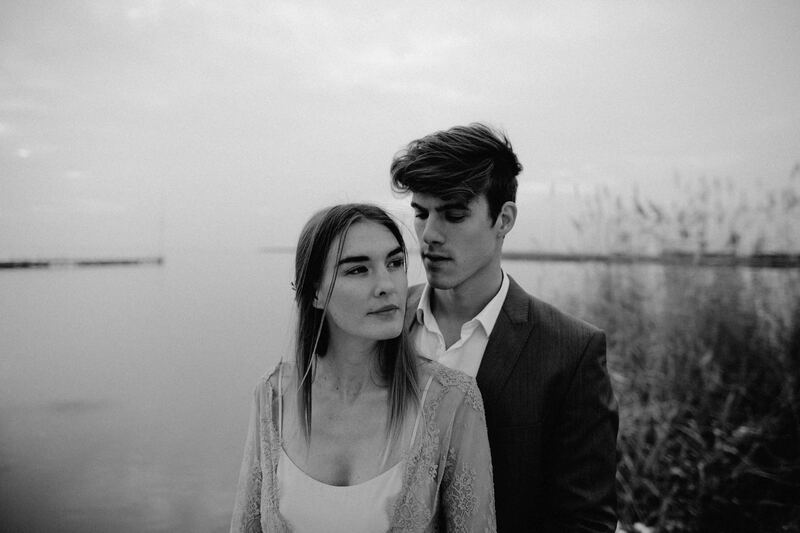 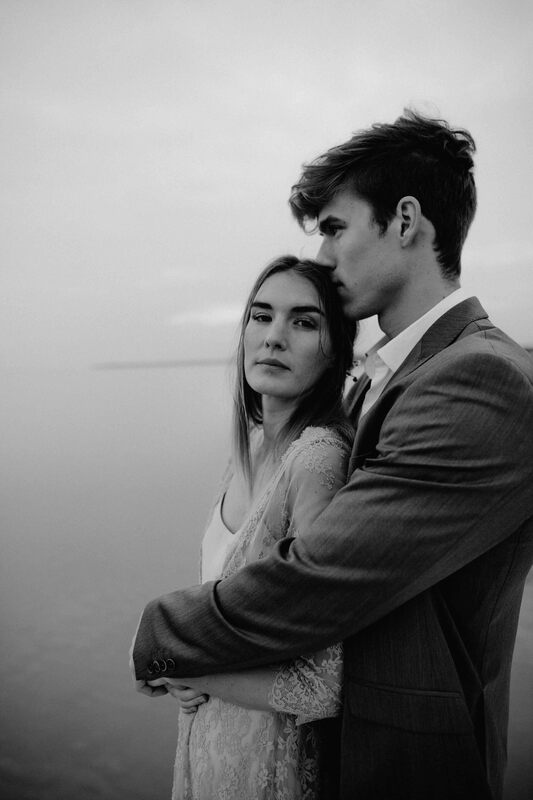 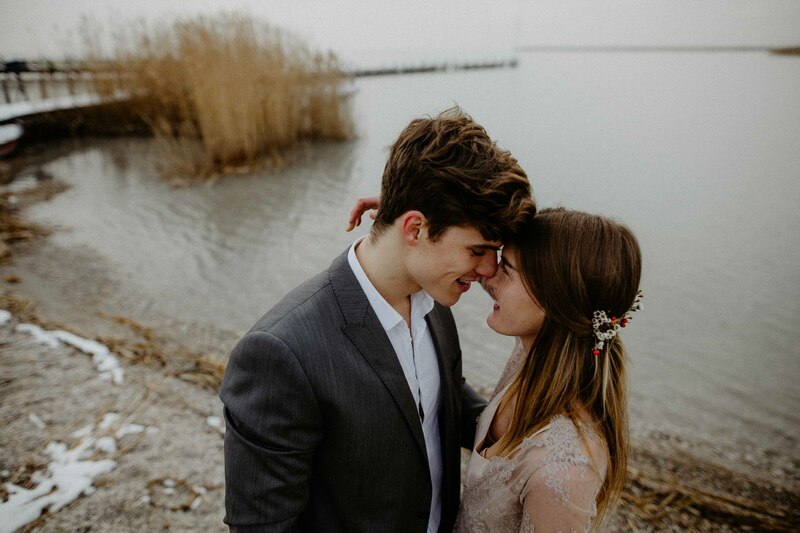 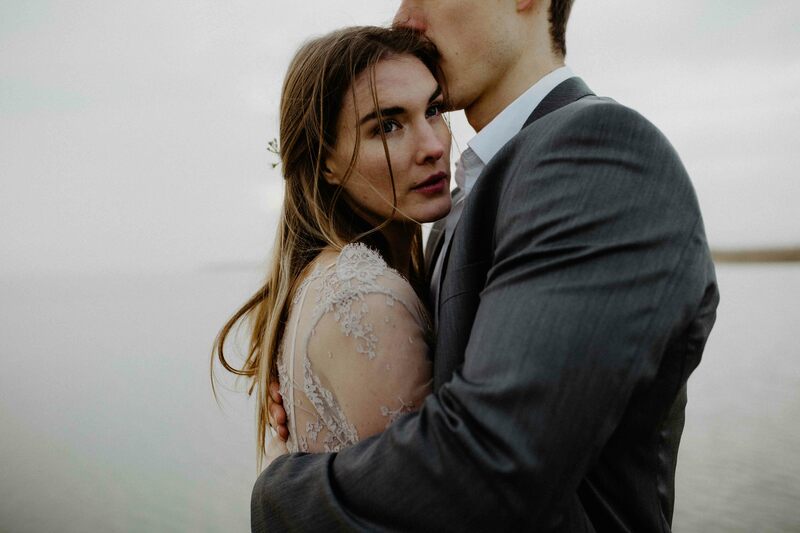 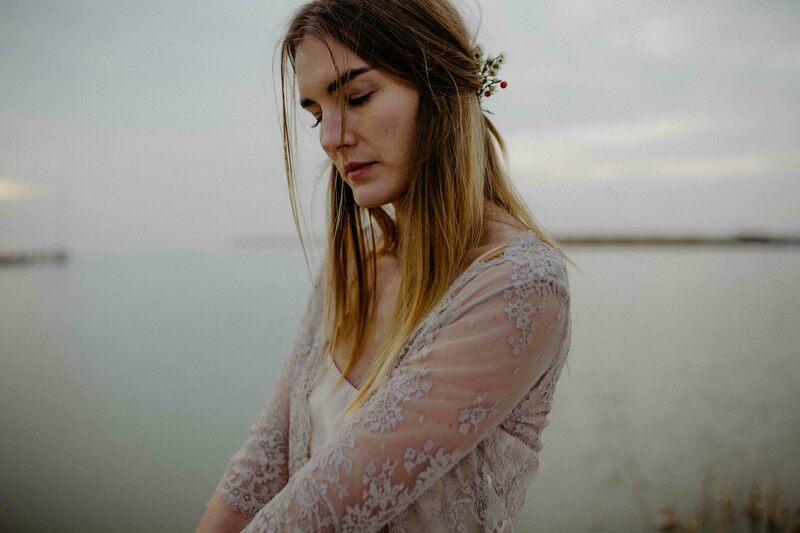 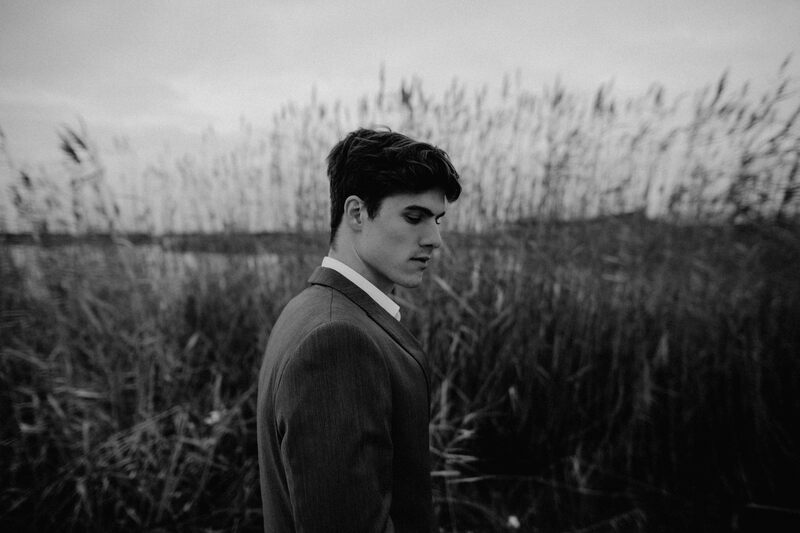 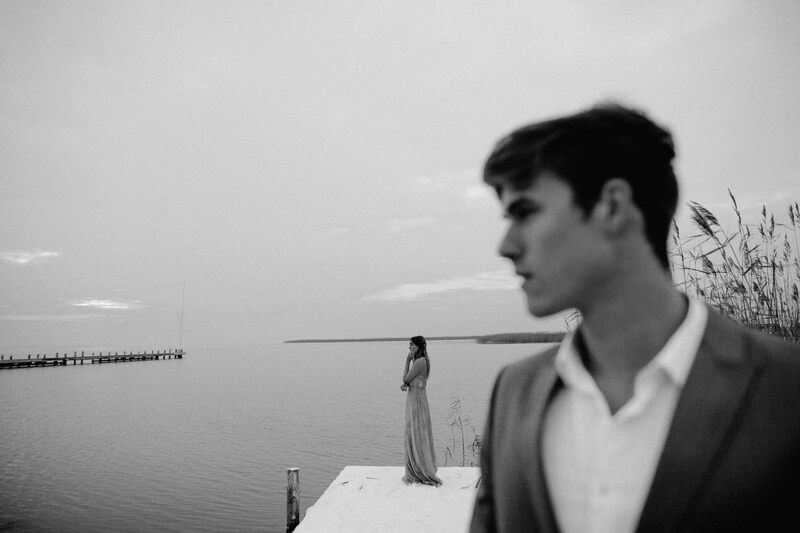 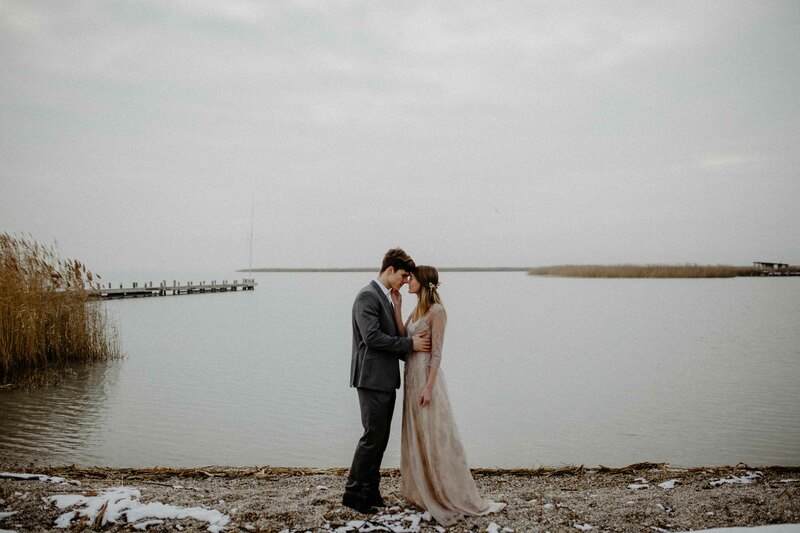 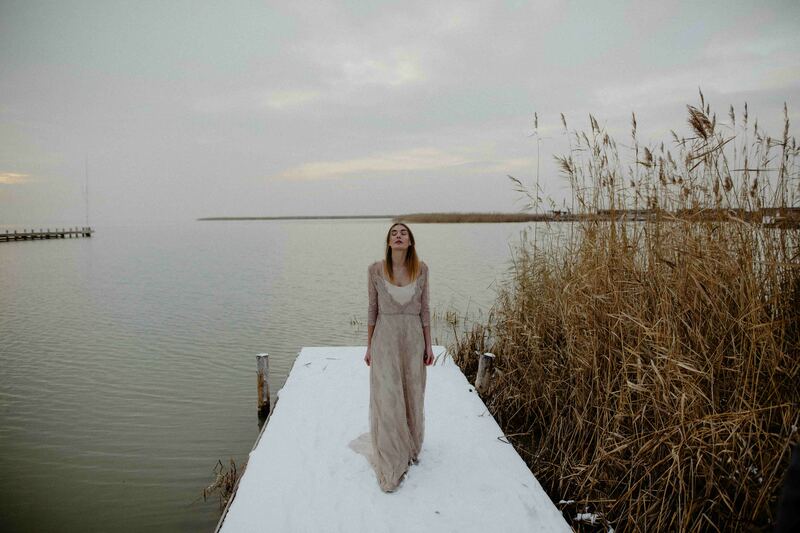 Together with Anna and Stefan we did a quick trip to the Neusiedlersee and shot a candid and romantic love story. 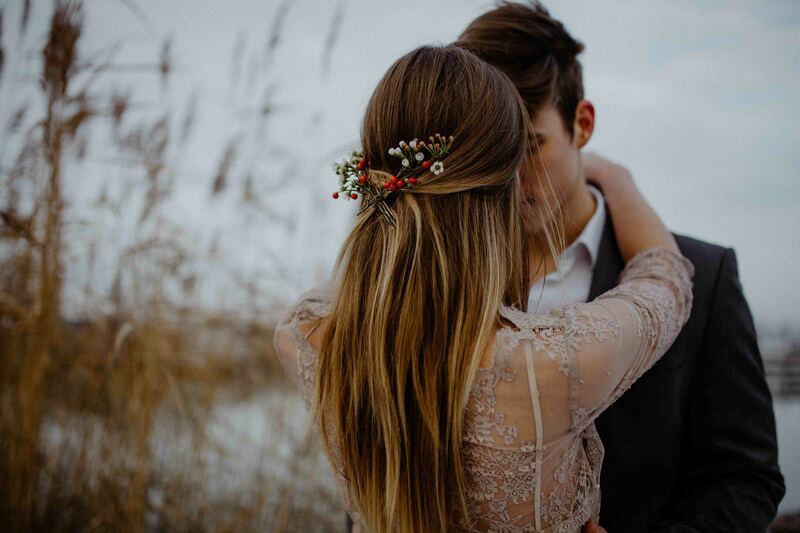 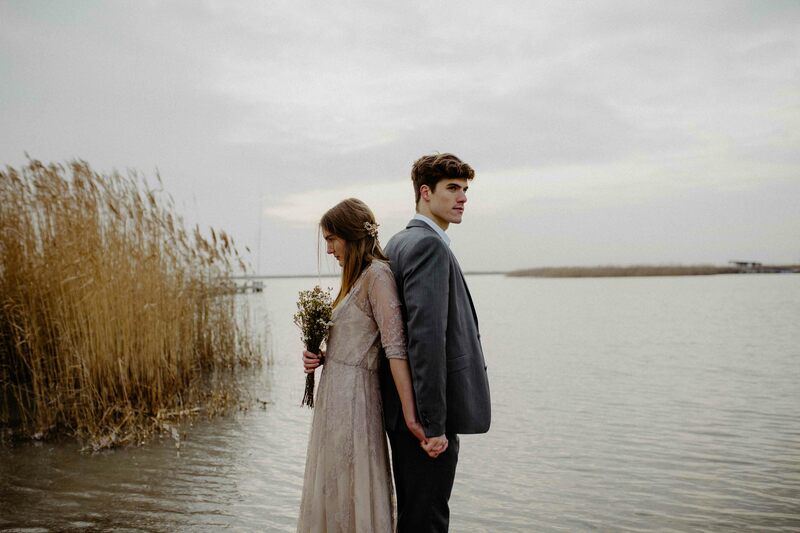 We love how the color of the dress fits with the autumn like colors of the sea grass and the surrounding. 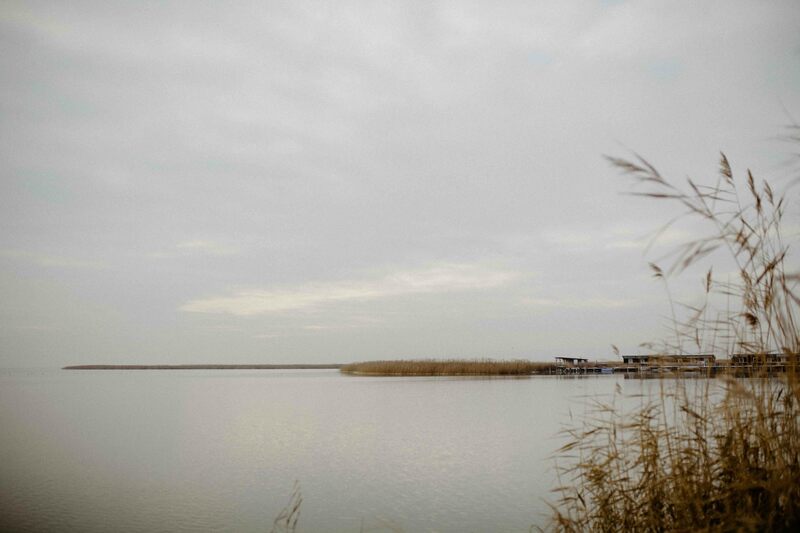 It’s so natural idyllic don’t you also think?